Oyster Bay Harbour represents an incredible opportunity to fulfill your Family's Dreams of living a Coastal, Yachting-Inspired Lifestyle while being surrounded by hundreds of acres of Historic and Pristine Natural spaces. 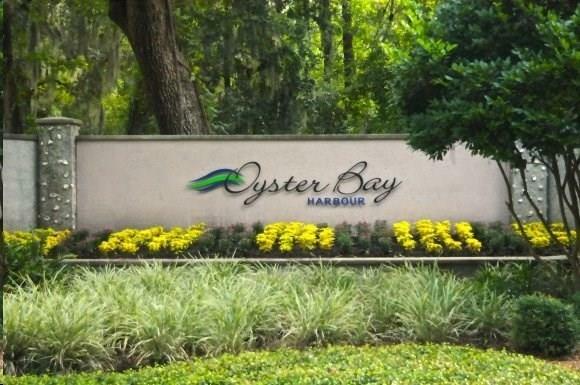 As the ONLY Residential Address in Fernandina Beach with a Full Service Yacht Club and Modern Marina, these "Pearls" truly transform Oyster Bay from a subdivision to a community, and we're proud to boast some of the greatest neighbors anywhere. 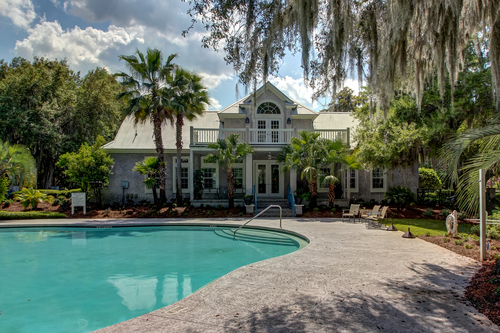 Property owners quickly become best friends, socializing and getting together for cookouts, bowling, boating excursions or just a glass of wine at the Tiki Hut on the weekends. The atmosphere is warm and friendly and has a true small town southern coastal charm. Bay House & Pool Located at the Entrance of Oyster Bay, the Bay House and its accompanying pool offer owners and residents the perfect place for a refreshing swim or venue to host your next event. 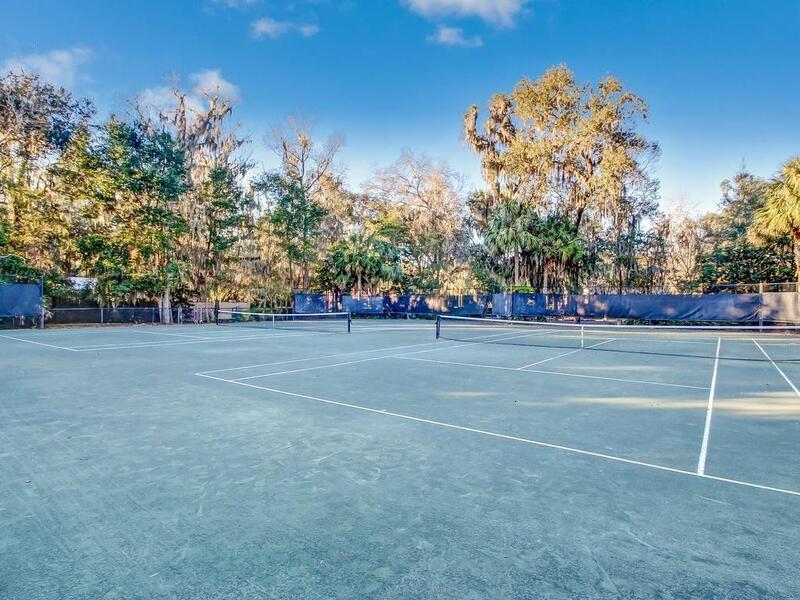 Tennis Court Located just across the street from the Bay House, you will find our 2 hard tru clay tennis courts situated under moss draped Live Oaks offering the perfect setting to sharpen your tennis skills. 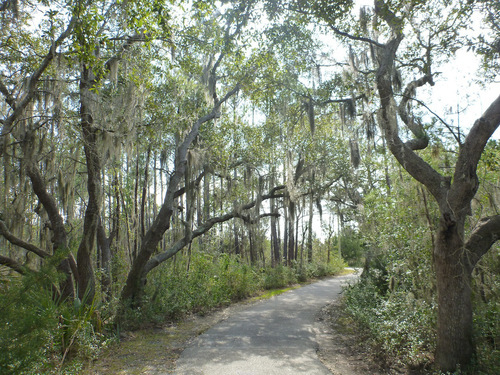 Trails The network of community nature trails provide ample space for walking your favorite four-legged family member, riding your beach cruiser down to the Yacht Club for a dip in the pool or simply admiring the vast array of resident and migratory birds who love to stop by Oyster Bay as they are passing by. 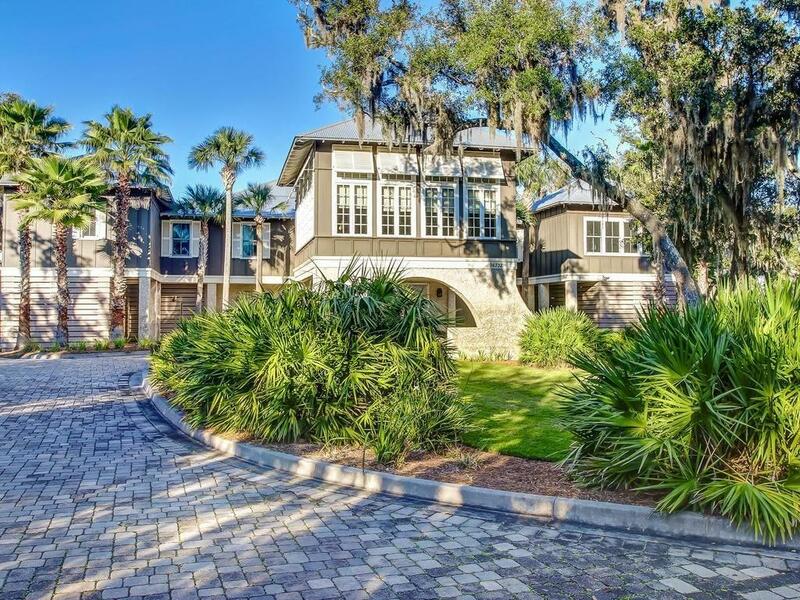 Yacht Club Featuring a state of the art work out facility, men’s and women’s locker rooms, full service bar with dining room, wide covered verandas and a swimming pool with expansive views of meandering waterways and Cumberland Island. 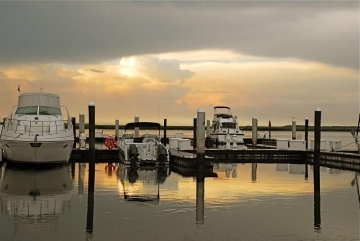 No matter whether you are a boating enthusiast or a land-lover, Oyster Bay Yacht Club is the premier destination for special events and weddings in North East Florida. Marina Oyster Bay Harbour's floating docks have 76 boat slips available to accommodate boats from 16' to 65'. It features both port or starboard full length fingers, with a minimum of 4-15 feet of depth at low tide and have been constructed with great attention to detail. This marina most certainly appeals to any yachtsman concerned with the convenience and safety of their prized vessel. The boat slips offer superb protection from the wakes and currents. 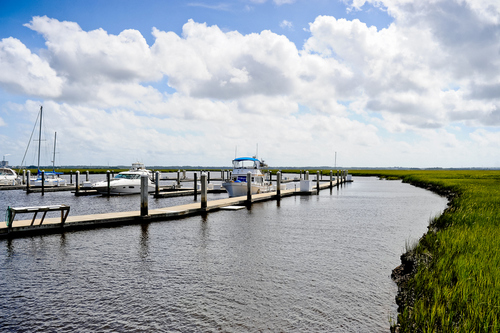 For boaters who want to set sail quickly, Oyster Bay Harbour offers a rare feature: you are just two miles from the historic Fernandina Beach Harbor Marina and the Atlantic Ocean just two miles further.